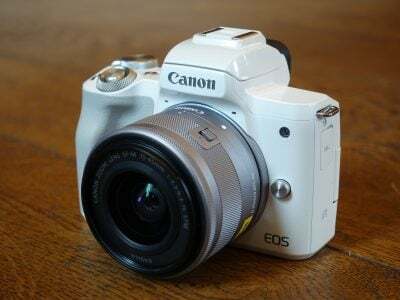 The Canon PowerShot S90 is equipped with a 3.8x optical zoom with an equivalent range of 28-105mm and a focal ratio of f2.0-4.9; the actual focal length is 6-22.5mm and we counted ten discrete steps when zooming from wide-angle to telephoto using the main zoom control. The S90 alternatively allows you configure the control ring around the lens to adjust the zoom, this time in five broader steps equivalent to 28, 35, 50, 85 and 105mm. The closest focusing distance in Macro mode with the lens zoomed-out is a fairly modest 5cm from the front of the first lens element. Upon power-up the lens barrel extends by 23mm with the camera ready for action in just over one second – roughly the same speed as the G11. You can see examples above of the S90 when powered down, switched on, and zoomed-in. When powered-down, the barrel retracts within the lens housing which protrudes by 7mm from the main body itself – the rest of the front surface is completely flat which makes the S90 quite pocketable. Like the G11, the S90 employs an automatic lens covering which closes when the camera’s powered-down, so unlike the Panasonic LX3, there’s no caps to worry about. To illustrate the S90’s coverage, we mounted it on a tripod and shot the same scene fully zoomed-out, then fully zoomed-in. You can see examples of this below. In use the S90’s 3.8x optical zoom provides a useful general-purpose range, from wide-angle for capturing expansive landscapes, large buildings, cramped interiors or big group shots, to short telephoto for grabbing details or portraits. It would of course have been nicer if the lens zoomed-in a bit more, but given the size of the camera and the bright focal ratio when zoomed-out, it’s a reasonable compromise – and at least it does offer 28mm wide angle. The G11 also starts at an equivalent of 28mm, but its 5x range allows it to continue to a noticeably longer equivalent of 140mm – this is one of the key differences between the G11 and S90. But while the S90’s 3.8x zoom doesn’t match the 5x range of the G11, it is broader than the 2.5x of the Panasonic Lumix LX3. The LX3 does enjoy the fairly unique benefit of starting even wider at an equivalent of 24mm, but tops-out at just 60mm. So it’s great for wide-angle fanatics, but can’t touch the S90 and especially the G11 when it comes to getting closer to distant detail. As a sidenote, it’s worth mentioning Panasonic’s Lumix TZ7 / ZS3 may not be targeting the same enthusiast market as the S90, G11 and LX3, but impressively packs a 12x (25-300mm equivalent) zoom into a body roughly the same size as the S90 – if you want a super-zoom range in a small form factor, it’s the one to go for and you can read more about it in our TZ7 / ZS3 review. Returning to the enthusiasts compacts though, the G11 may have the longest zoom range of the three models described here, but both the S90 and LX3 boast a brighter focal ratio. With all three cameras zoomed-out to their widest focal lengths, the S90 and LX3 boast an f2.0 focal ratio compared to f2.8 on the G11. This allows the S90 and LX3 to gather twice as much light which means you can halve their sensitivity or double their shutter speeds under the same conditions. This is a big advantage when you consider the quality difference between 200 and 400, or 400 and 800 ISO on these models. It is however important to note the f2.0 focal ratio only applies when the S90 and LX3 are completely zoomed-out. Like most compacts, the aperture steadily decreases as you zoom-in, and by the time the S90 is at 105mm, the f-number is f4.9 – that’s actually a tad slower than the G11’s f4.5 even at 140mm. The LX3 appears to take the high ground here with an impressive-sounding f2.8 when zoomed-in, but remember that’s only at 60mm. Zoom the S90 to the same focal length and it operates at f3.2 – admittedly slower than f2.8, but only by one third of a stop. But the bottom line is the S90 and LX3 can both capture twice as much light as the G11 when all three are zoomed-out and this gives them a big advantage in low light conditions. The ability to use lower sensitivities for better quality or faster shutter speeds to avoid shake are invaluable. Of course if you mostly shoot under bright conditions, it won’t make much difference to you, and it’s also worth noting the S90 doesn’t offer a particularly shallow depth-of-field even with the aperture wide-open – but anyone shooting in dim conditions will still appreciate the low light benefits. The PowerShot S90 employs optical Image Stabilisation to counteract camera-shake. Canon offers three modes: Continuous where the system operates all the time, Shoot Only which only applies stabilisation as you take the photo, and Panning which only stabilises in the vertical axis for when you’re moving the camera horizontally as you take the photo – for an example of using the latter, see the Blurring Action tutorial at our sister site, DSLR Tips. To put the S90’s stabilisation to the test we photographed a distant building with the lens fully zoomed-into its maximum equivalent focal length of 105mm, first with stabilisation disabled, then with stabilised set to the default Continuous mode. Traditional photographic advice would recommend a shutter speed of 1/105 to completely eliminate camera shake without stabilisation, so we started our test at 1/100, then reduced the shutter speed by one stop at a time until all the images suffered from shake. Above are 100% crops from the samples taken without, then with stabilisation at a shutter speed of 1/13 – the slowest we could reliably handhold with stabilisation. The version without stabilisation is unsurprisingly shaky, but the version with stabilisation is almost 100% shake-free. Achieving this at a shutter speed of 1/13 corresponds to three stops of compensation, which is a good result for the S90. The PowerShot S90 offers two auto-focusing modes: Face AiAF or Center. Face AiAF automatically switches the S90 between a nine-area AF system and face detection, and it’s nice to have the two most common AF modes on a single option rather than having to manually select face detection on previous models. Alternatively, Center forces the S90 to simply focus on the middle of the frame. Strangely the Flexizone option of the G11 which lets you adjust the position of the focusing area is missing here. But if AF-Point zoom is enabled in the menu, the S90 will still magnify the AF frame in Centre mode for checking with a half-press of the shutter release. In use the S90’s autofocus was roughly the same speed as the G11: accurate and fairly quick in operation, while the main Face AiAF mode never failed to switch to face detection when pointed at a human subject. The S90 additionally offers Blink Detection, which as its name suggests, can spot when a subject has blinked at the moment the photo was captured. This works in practice, briefly displaying a blinking face icon in the corner of the screen as a warning immediately after taking the photo. It will however only work if the subject in question has already been acquired by the face detection system. Like the G11 before it, the S90 also offers a Servo AF mode which can track subjects in motion. This worked in practice with subjects approaching face-on, although the camera’s disappointing continuous shooting rates (see bottom of page) make it unsuitable for capturing action sequences. Pushing the rocker control left puts the S90 into its Manual Focus mode, after which you can use the thumb wheel to adjust the focusing distance in many fine increments, indicated by an on-screen scale. If MF Point Zoom is enabled in the menu, the portion in the AF frame is magnified for a closer look. This magnified view gives you a fairly good indication of focus. If you’d like a little extra help, the S90’s Safety MF option lets you get the focusing close by hand, then finishes it off automatically at a half-press of the shutter release. Alternatively you can opt for the S90’s focus bracketing mode which takes three shots: one at the manually focused distance, and the others a little closer and further. The nearer and further increments can be set to small, medium and large. The PowerShot S90 employs the same CCD sensor as the G11, designed with low light in mind. So rather than pack as many pixels as possible into a cramped surface area, Canon’s opted for a more sensible 10 Megapixels here. Coincidentally that’s the same number as Panasonic’s LX3, yet another aspect the new Canon has in common with this older but highly influential model. It’s also the same resolution as Canon’s earlier PowerShot G7, although Canon assured us it was a brand new sensor in the S90 and G11, allowing them to support much higher sensitivities. The S90 (and G11’s) sensor is a 1/ 1.7in type, which is slightly larger than the 1/ 2.3in type found in typical compacts and super-zooms – although it should be noted the LX3’s 1/ 1.63in sensor is essentially the same size. 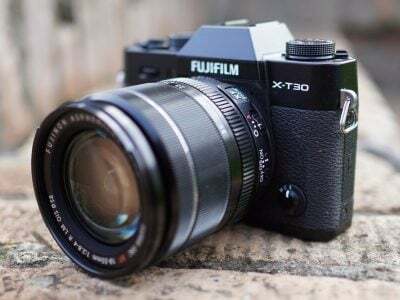 The increased surface area of these bigger sensors give them the potential to be more sensitive given the same resolution, although they’re still much smaller than the sensors in DSLRs or Micro Four Thirds models like the Olympus E-P1 or Panasonic GF1. You can see how the S90 and G11’s image quality compares against a DSLR in our results pages, and how the G11 compares against both Micro Four Thirds models in its review. In the meantime, the S90 / G11’s sensor delivers 4:3 shaped images with a maximum resolution of 3648×2736 pixels. There’s the choice of four lower resolutions (6, 4 and 2 Megapixels plus a VGA mode) along with a cropped 16:9 aspect ratio, and JPEGs can be recorded in the choice of Normal or Fine compression. Sadly the Super Fine compression option of earlier high-end Canon compacts is missing here, although thankfully you still have the ability to record in RAW, with or without an accompanying Large Fine JPEG. Note the LX3 offers multiple aspect ratios without cropping, thereby maintaining the angle of view, and maximising the quality. Fine JPEGs at the S90’s full resolution typically measure 2.5MB each, while RAW files weigh-in around 13MB each; there’s no built-in memory, so we recommend buying yourself a decent SDHC card. RAW recording is a key feature of the S90, and is one of only three Canon compacts to offer the facility (the others being the SX1 IS and G11). Canon supplies the S90 with its Digital Photo Professional software for processing RAW images and we have real-life examples in our results pages. Like the G11, the sensitivity at full resolution runs from 80 to 3200 ISO and by default is adjusted using the lens control ring. Switch the S90 into its Low Light mode and like the G11, it’ll automatically select sensitivities from 320 to a considerable 12,800 ISO, albeit at a greatly reduced resolution of just 2.5 Megapixels. This image size implies pixel-binning, with groups of four pixels effectively acting as one bigger unit with up to four times the sensitivity. The Low Light mode certainly lets you shoot under very low light conditions without a flash, and you can see how it looks in the Gallery section. Contrast, Sharpness, Saturation and other colour settings are applied using a variety of options in the My Colours section of the Function menu. Along with the default Off setting, the S90 offers Vivid, Neutral, Sepia, Black and White (but no filter options), Positive Film, Lighter Skin Tone, Darker Skin Tone, Vivid Blue, Vivid Green, Vivid Red and a Custom option which lets you adjust the Contrast, Sharpness, Saturation, Red, Green and Blue channels, along with Skin Tone by +/-2 steps. We used the default Off setting for our test and gallery shots and found the S90 shared essentially the same style as the G11 – not surprising given the same sensor and image processing. As such, the images delivered natural colour and tone, but were lacking some of the G11’s crispness due to differences in their lenses. We also noticed minor coloured fringing on some S90 samples when zoomed-out where the G11 managed to mostly avoid it. But overall the image quality was pleasing, and you can see many examples in our results and gallery pages. The Function menu also lets you adjust the White Balance between Auto, Daylight, Cloudy, Tungsten, Fluorescent, Fluorescent High, Flash or Underwater, or take a custom reading; the shortcut button can also be configured to take a custom reading then set the white balance to custom with a single press. And like the G11, each of the presets can be fine-tuned, although like most non-DSLRs, there’s still no manual entry of colour temperature. The fine-tuning can be adjusted using the rocker disc, or a combination of the lens ring and thumb wheel. The S90 also offers automatic dynamic range adjustments using its i-Contrast feature (disabled by default). i-Contrast automatically boosts shadow areas or faces darkened by strongly backlit scenes. To put it to the test we took two photos of a Church interior with and without i-Contrast set to its Auto option. This composition features dark shadow areas and strong window lighting which represents a challenge for any camera’s exposure system. The example above shows i-Contrast selecting the same exposure when set to its Auto mode, and while there’s no detail retrieved in the saturated windows, the darker areas such as the roof, flooring and benches have certainly received a boost. The histograms below each image give a better idea of what’s going on, with a reduction in darker shadow areas and a boost in upper mid-tones, albeit still with clipping in the highlights. Like other systems which boost shadow areas, there’s inevitably an increase in visible noise as a result, especially if you’re using anything but the lowest sensitivity. Finally, the S90’s Date Stamp option allows the time, date or both to be permanently written in the corner of the image. Such digital mutilation may horrify many photographers, especially considering the date and time are always present in the EXIF data of the file itself, but we’ve heard from sufficient numbers of people who want the feature to know it’s something of value. 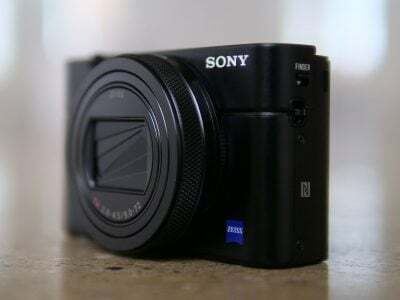 The PowerShot S90 shares exactly the same movie mode as the G11 and hence is a bit of a disappointment. Unforgivably for premium 2009 compacts, neither model has High Definition or even widescreen movie facilities. Instead you’re stuck with plain VGA video when the year-old Panasonic Lumix LX3 features 720p HD. We asked Canon whether this was a marketing decision to drive sales of other models in the range, but the company claims it’s a technical limitation on both the S90 and G11, presumably due to their shared sensor. Either way, HD video is a major omission for a model of this calibre. So like the PowerShot G11, the S90 can record video at either 640×480 or 320×240 pixels at 30fps. The DIGIC 4 processor encodes video using the H.264 format and stores then in a QuickTime Movie wrapper. The maximum file size for movies is 4GB, or one hour in length, whichever occurs first; when set to 640 mode, you’ll reach the 4GB limit after around 30-40 minutes. Sadly like the G11 (and far too many other Canon compacts) there’s not even optical zooming while filming, just a 4x digital boost from whatever focal length you started filming at. The absence of HD or even optical zooming while filming makes the S90’s movie mode a disappointment in this day and age. To be fair, it looks as good as any VGA mode we’ve tested, but really a camera in its class is crying out for better video and while we applaud Canon for attempting to deliver superior low light performance, HD video should also have been on the ‘to-do’ list. After all, several CCD-based Canon compacts already have it, as do most of Panasonic’s models, again including the LX3. Registered members of Vimeo can download the sample here for further evaluation if desired. The Canon PowerShot S90 offers one main continuous shooting option, shooting at a paltry 0.9fps with fixed focus or 0.6fps with autofocus – this is even slower than the already sloth-like G11’s continuous shooting speed of 1.1fps. We’re not quite sure why the S90’s slower still as it can’t possibly be used as a reason to go the G11 instead. To put this to the test we fitted the S90 with a formatted Lexar Professional 133x 8GB SDHC card and timed its continuous shooting in various configurations. We captured 50 Large Fine JPEGs at 80 ISO in 53 seconds, corresponding to 0.94fps. Switching to RAW only mode saw the S90 fire-off 20 frames in 24 seconds, corresponding to a slower rate of 0.83fps. This is next to useless as most action situations will have long been over before you’ve even managed to fire-off a couple of frames. Offering some consolation is the Low Light mode, which thanks to its reduced resolution of 2.5 Megapixels can shoot at quicker speeds. In our tests the S90 managed 50 shots in 23 seconds, corresponding to a rate of 2.1fps. This is a big improvement, although still too slow to capture serious action sequences. It’s also a little disappointing when you compare it to the year-old Panasonic LX3 in this regard, which can shoot at 2.5fps using its full resolution (for eight frames), or increase the speed to 6fps with a drop in resolution to 3 Megapixels. While continuous shooting on the S90 a disappointment, the camera does at least inherit the innovative self-timer options of the G11. Along with traditional ten and two second timers, the Custom option lets you set the countdown to as long as 30 seconds, and have the camera take one to ten shots at the end. This is handy for maximising your chance of successful poses and expressions in timed group shots. The S90 lets you set the initial delay using the lens ring and indicates it graphically as a tachometer. Cleverer still is the Face Timer option, which waits until a new face enters the frame before taking the photo two seconds later; you can also change the number of shots taken from one to ten. The photographer’s traditional sprint from the camera to join a group in self-timed composition may be a thing of the past. Now let’s see how the S90’s image quality measures-up in our Canon PowerShot S90 Real-life results pages.